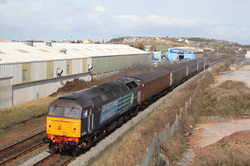 During the floods of 2009,the North West of the country was badly affected,and after a bridge collapsed in Workington,a goverment sponsored,DRS operated shuttle was put into place,to help in a reconnection before a temporary bridge could be errected. 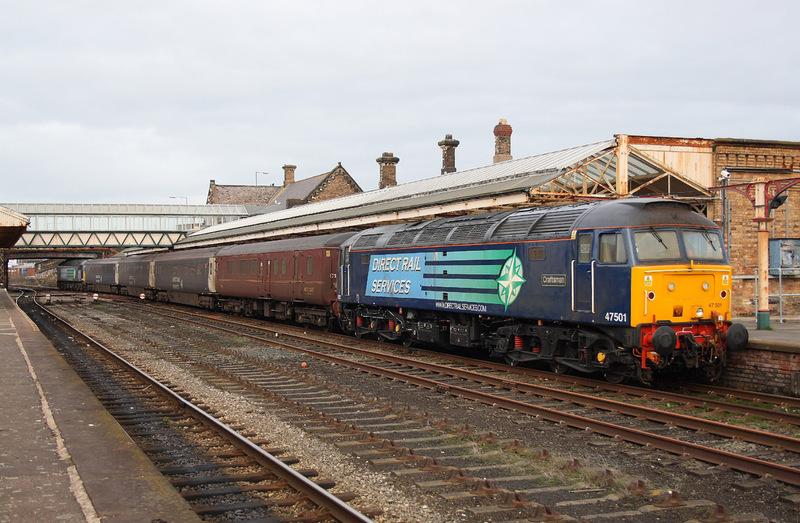 This is a selection of images involving the class 47 on these workings. 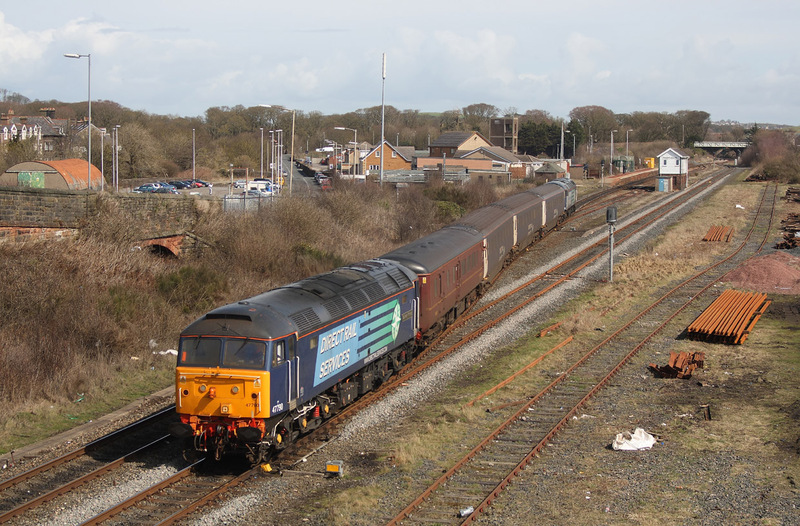 47790"Galloway Princess"..2Z23..10.02 Maryport to Workington. 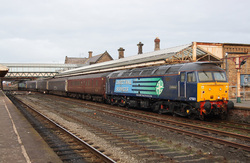 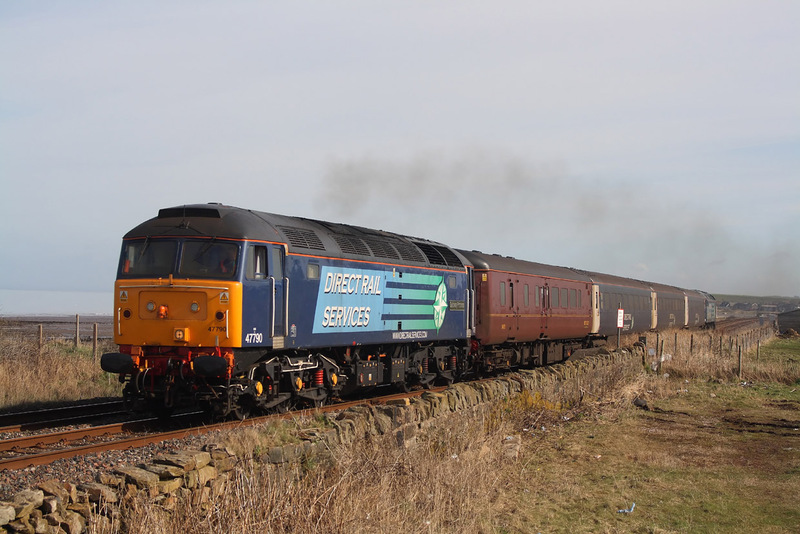 47790"Galloway Princess"2Z25..10.55 Maryport to Workington. 47790"Galloway Princess" departs Maryport station on 2Z29..12.50 shuttle to Workington. 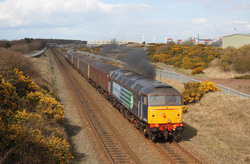 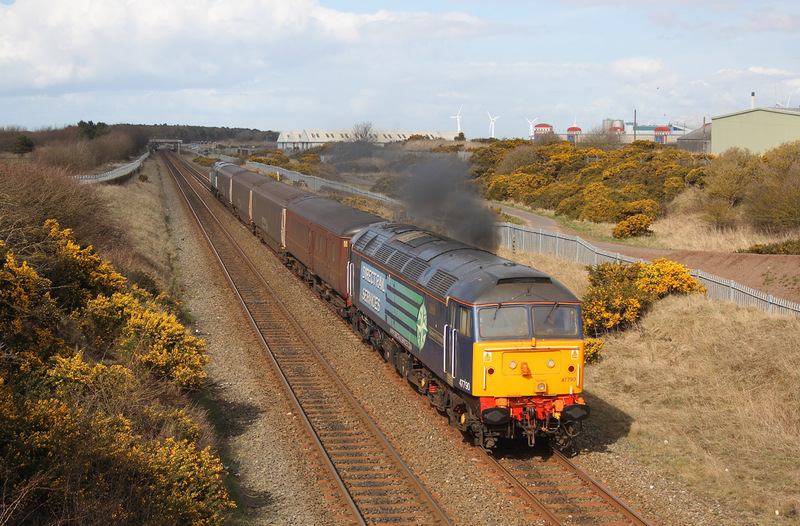 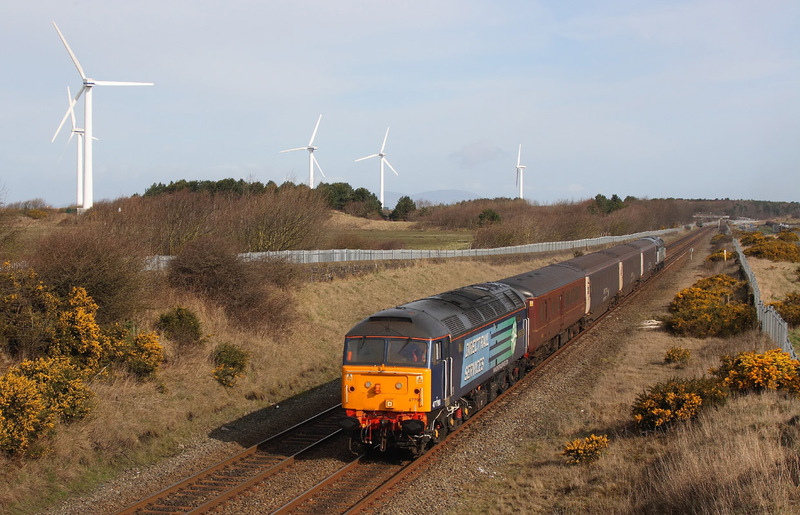 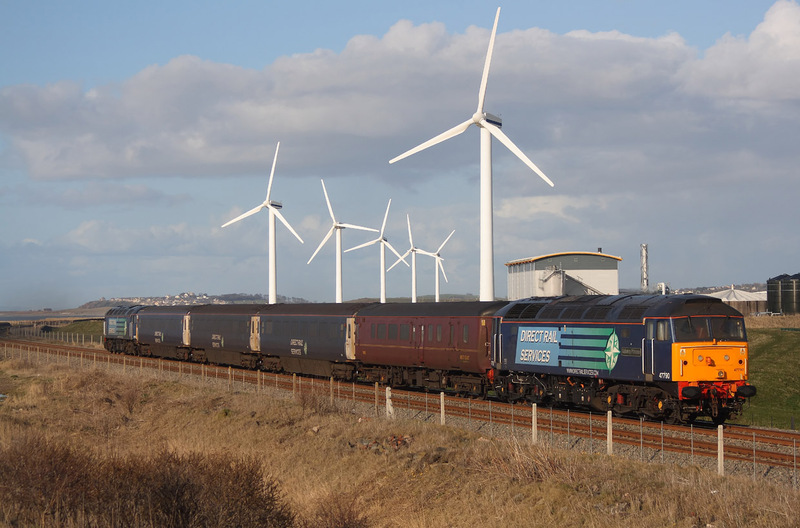 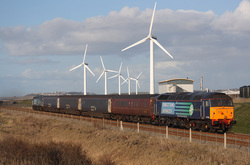 47790"Galloway Princess" passes the outskirts of Maryport on 2Z31..14.00 Maryport to Workington. 47790"Galloway Princess"..2Z37 ..15.10 Maryport to Workington shuttle.